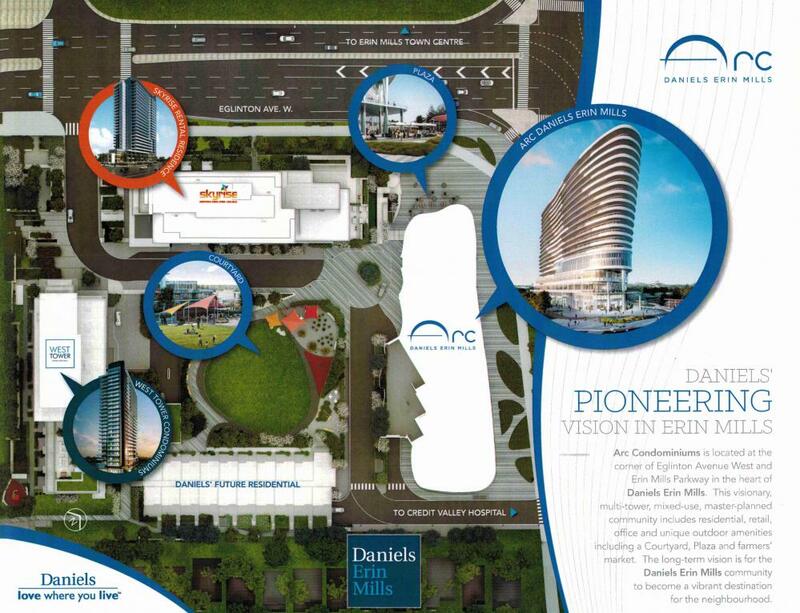 Arc Condominiums are the latest phase of Daniels Erin Mills. Located at the corner of Eglinton Ave. W. and Erin Mills Parkway, this bold new building, with its dramatic curves, promises to reinvent the look of the entire area. 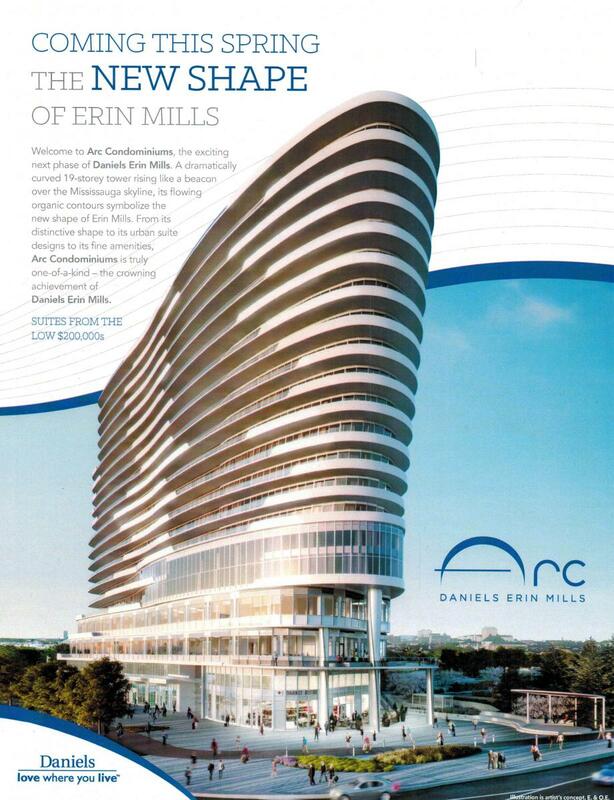 Arc condos will rise 19 stories, and is the third tower of Daniels master-planned community at Erin Mills. Towers are separated by a green courtyard with play areas, and a plaza that holds a seasonal farmer’s market. We have all the pricing info and floorplans for the Arc Condominiums. Time is of the essence, as the master public sales event will be held June 18, 2016, and this condo may very well sell out! Get complete information including pricing and floorplans by clicking here. Lifestyle amenities are located on the 4th and 5th floors of Arc, and include a full-court gymnasium and fully equipped fitness center with cardio, weight, and aerobics facilities. There will be an outdoor terrace with gardening plots, outdoor terrace with BBQ area, and chic seating, as well as a party room, media room, smaller public lounge, and library. Prices range from $197,900 for the smallest studio apartment to $763,800 for the largest 3 bedroom unit with 2 baths. Parking is included for all 2 bedroom and larger suites, and is available for an extra charge of $9800.00 for 1 bedroom + den and smaller suites. Prices are HST inclusive. Maintenance fees are projected at $0.48/sq. ft., and hydro will be metered separately. Parking maintenance at $45 per month, and locker maintenance at $12 per month. $5000 with Agreement of Purchase and Sale. Get complete information! including pricing and floorplans by clicking here.